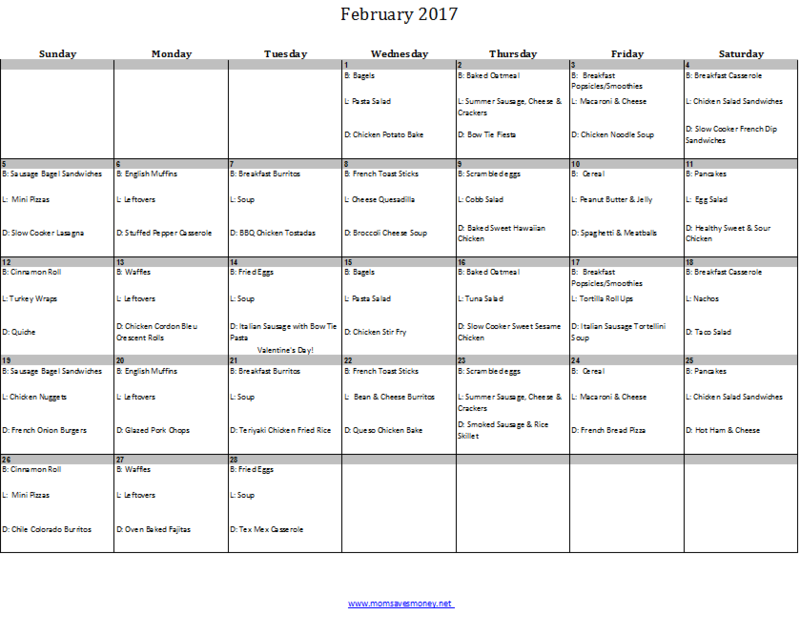 February 2017 Monthly Menu Plan! Love is in the air! Well, maybe not love. But, then again, maybe it is. It’s the month of Valentine’s Day! If that doesn’t inspire good thoughts, then maybe knowing that this is the month of the Super Bowl is something you can love. No? Then Groundhog’s Day — is that something that you love? 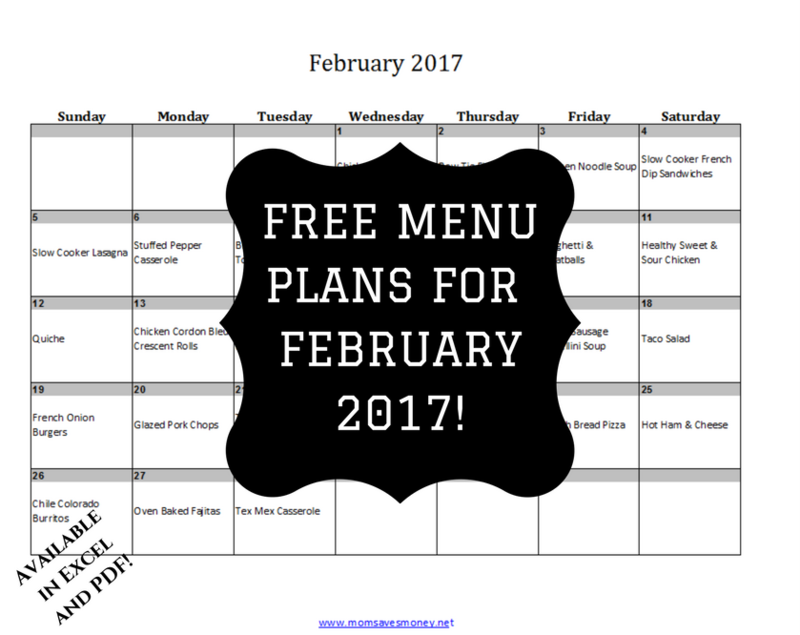 Well, if you can’t find something to love in February, maybe you can love menu planning! 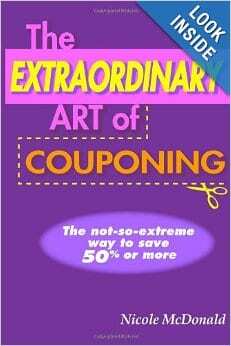 It’s one of the best way to save money on groceries. If you know what you’re cooking, then you know what groceries you need to buy. Only buying what you need will save you money! 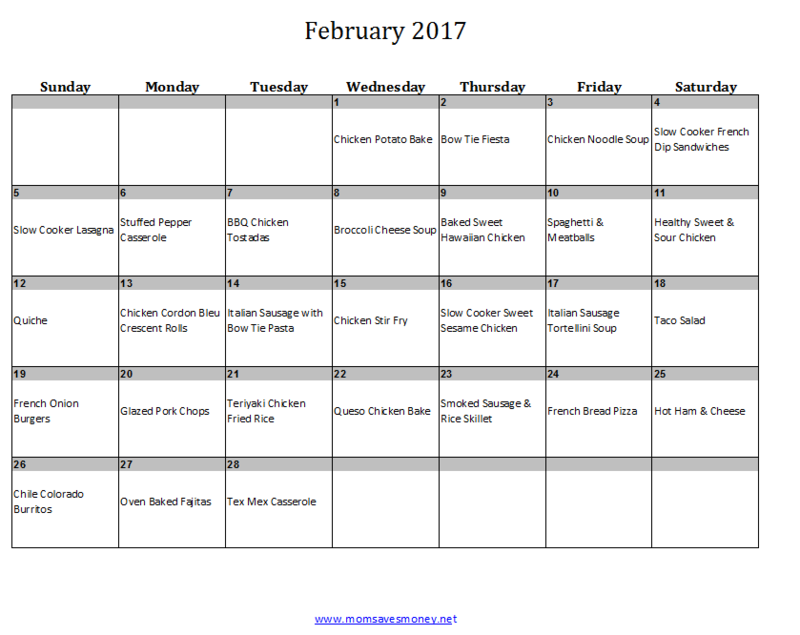 We’ve put together this menu plan in hopes that it helps you. Use the “All Meals” option. Or just the “Dinners Only” plan. Open it in Excel. Or PDF. The choice is yours! If I could have my kids just eat three dishes of your delicious sounding dinner menu my life would be easy. Thank you for doing all this work and letting us copy and paste. So glad that it’s useful! My boys like most of these meals, but so far, I’ve been blessed with non-picky eaters. That could change as they age though!